Coworking and shared office spaces are revolutionising the way we work. Along with sharing space, ideas and resources, coworking communities and workspace providers are finding unique and innovative of ways of reducing our collective carbon footprint. 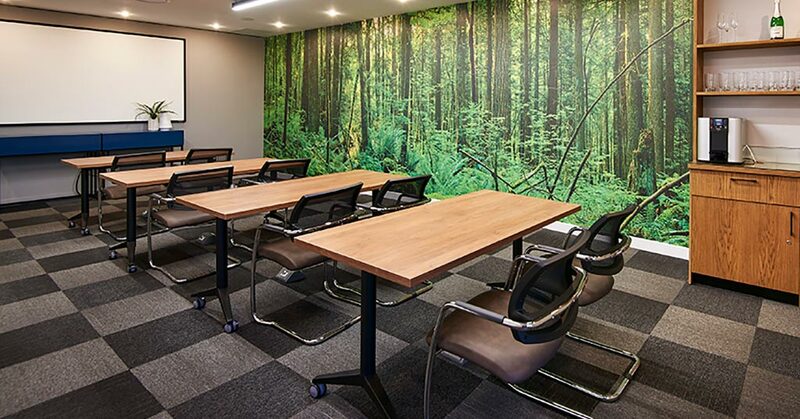 Across the world, there’s a concerted effort to create sustainably built and maintained green work spaces. There’s also a move towards eco-driven communities and initiatives conceived to tackle climate change on a global scale. Let’s consider how coworking and shared office space providers are reducing their impact on the environment. The most obvious contribution of coworking spaces to protecting our planet is the core concept of sharing. 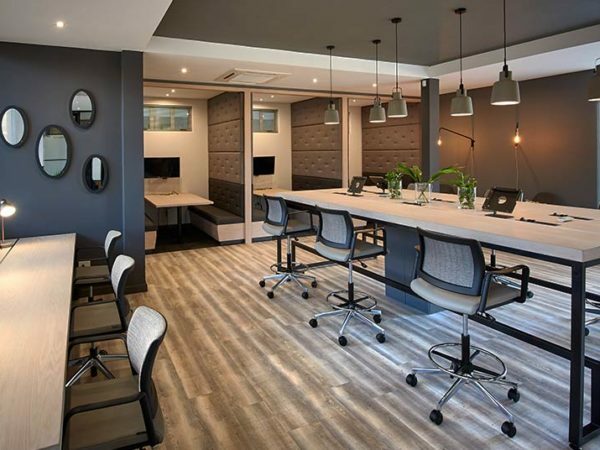 Resources and equipment – from printers and copiers to kitchen kettles and fridges, to meeting room projectors and boardroom tables – are shared by the community members in a shared office or coworking facility. That, in itself, is a huge step towards a more eco-friendly work environment. The result is less environmental damage due to the manufacture of these items, and less office equipment destined for landfills. That’s a “win win” for independent professionals and small businesses, who save money as well as reducing their ecological footprints by sharing office resources. Internationally, some coworking providers are gaining attention for their eco-friendly building designs. The idea is to integrate as many existing structures and materials as possible into the design to eliminate waste. Where new finishes are required, only recycled or recyclable materials are used. Grind, a coworking space in Manhattan, has fitted recyclable floor tiles and doors that are constructed from environmentally friendly materials, using sustainable manufacturing processes. CoCoon, Hong Kong’s largest coworking space, features reusable bamboo floors and non-toxic wall paint, while Green Space in Denver used only reclaimed building materials throughout to create one of the most environmentally friendly work spaces in the United States. Many providers of shared office space have sustainable energy sources. Denver’s Green Space, for example, is almost 100 percent powered by solar panels installed on the building’s roof. It’s not only the big energy-saving statements that can help save the planet. Companies like Grind may still rely on the national grid for its power supply, but it does its bit by turning off the lights at night. Low-energy LED and CFR lighting are also standard across most new generation work spaces. Coworking companies are also paying attention to the details that can make a difference. Huckletree, the self-proclaimed “community for the curious”, actively discourages printing and supplies only recycled chlorine-free paper. It also donates all printing fees to the Trees for Cities charity. Second Home in Lisbon has strategically placed more than 1000 drought resistant pot plants around its open work space to enhance air quality and insulate against noise. Similarly, Green Space has erected living walls as natural oxygen-emitting space partitions. Grind has installed low water usage taps and toilets, and equipped the shared kitchen with crockery and cutlery in an effort to eliminate the use of disposable paper and plastic items. When it comes to caring commutes, Green Space has invested in shared bicycles, and encourages members to use its car-sharing initiative to get to and from work. 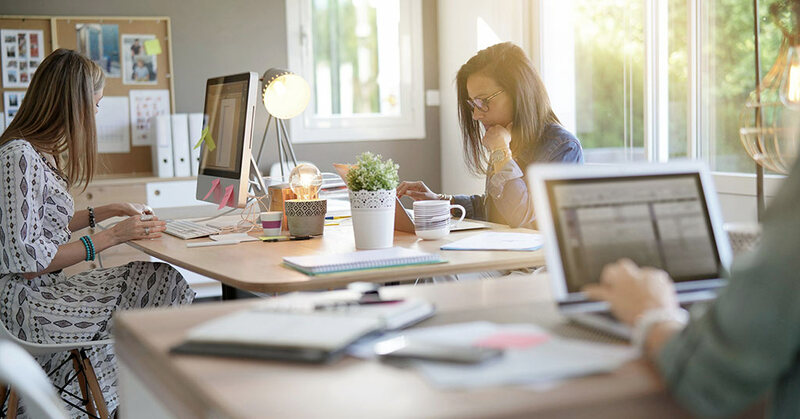 Along with creating well thought-out work spaces designed to cut carbon emissions, a number of leading coworking companies are actively involved in initiatives designed to help save the planet.  For example, London-based coworking provider, BuyGiveWork, is the brain behind the in-house Green Lab, a dedicated space where startups and academics collaborate to work on water, energy, waste food and aquaponics projects. 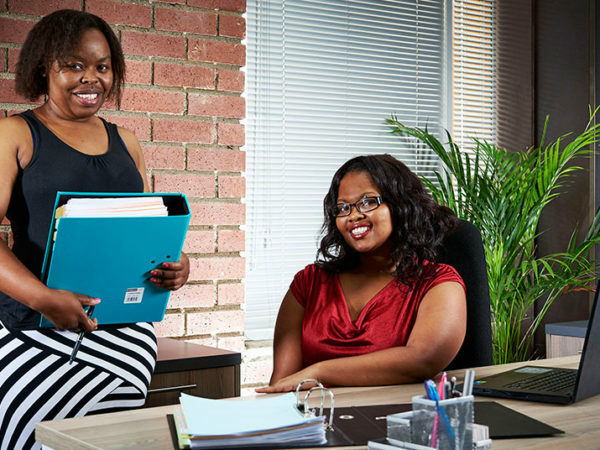 At The Workspace, we offer affordable, fully serviced offices and coworking, and all our clients have access to meeting rooms, boardrooms and a range of business services. We’re proud of our shared office space and coworking model, which we believe is uniquely appropriate for small businesses, entrepreneurs and independent professionals in our country. We’re also delighted by the potential for coworking and shared office space to help the environment. 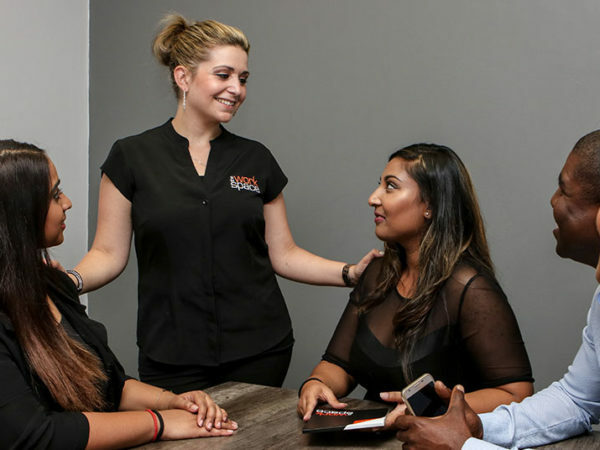 For more information or to book a tour of one of our branches, call us on 0861 250 259 or contact us online.